The Footy Narrative team was on ground to witness day 1 of the Berlin Football Academy's first ever university/college combine on Saturday April 21st. 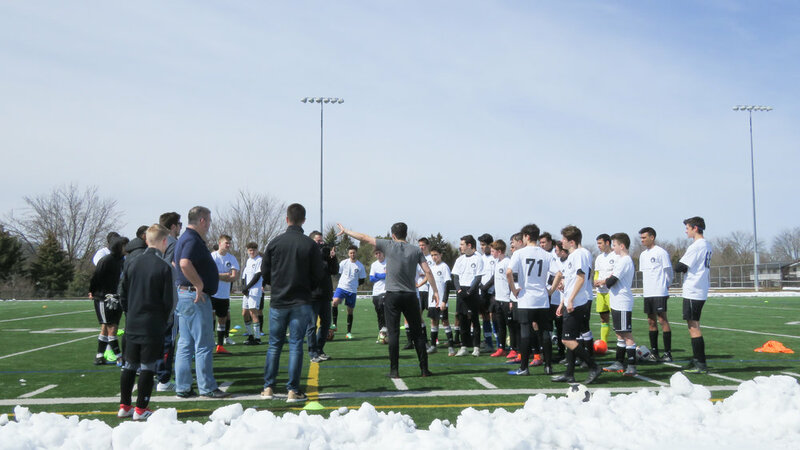 We briefly got a chance to witness the academy follow through on its mission to provide players with an opportunity to play soccer at the highest level in a safe, respectful and supportive environment. Director of Soccer, Santiago Almada kicking things off at the Combine. The combine, which was hosted in collaboration with Next Level U Sports, was split into two days for boys and girls. We watched coaches give a quick intro before putting the boys through their paces. The players put through their paces. Huge credit to Santi, Ryan, the coaches and volunteers for putting together the combine. Be sure to follow @berlinfa & @nlusports for more coverage and photos from the combine. © 2019 Footy Narrative. All Rights Reserved.